He is a Spanish biologist, who graduated from Science Biology at the Universidad Complutense de Madrid (Spain), where he also performed his PhD studies in Biochemistry. He continued his research working as a Postdoctoral fellow, first at the Center of Molecuar Biology (Spain) and after at the Cambridge University (UK). He lead his own research group at EMBL (Germany), were he worked on proteins misfolding in relation to human diseases, and computational protein design. After six years, he was designated Head of the Structural & Computational Biology department, in the same center. For more than ten years, he has led a research group at the Center for Genomic Regulation, Barcelona (Spain), where he is Director since 2011. In his group, they study biological systems, aiming to understand and treat human diseases in which the target will not be a single molecule but a network. For this purpose, Dr. Serrano’s group develop new software and theoretical approximations to understand complex systems, and do experiments to validate their predictions. 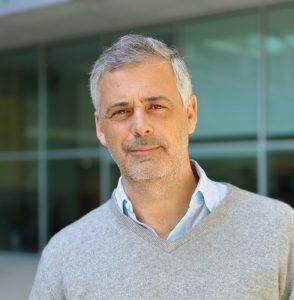 He recieved the Ciudad de Barcelona Award (2010), the Marie Curie Excellence Award, from the European Union (2003) and he is a member of EMBO since 1999 and ICREA since 2006.